Water-based chemicals are available for de-fluxing application. 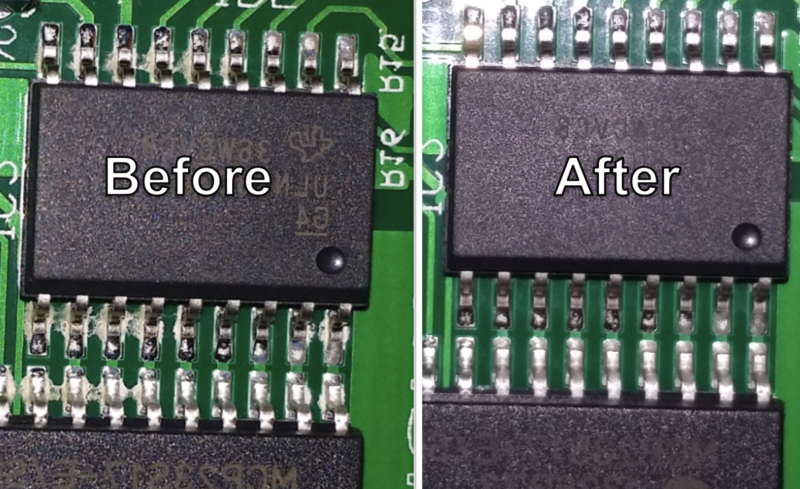 The chemicals can also remove stubborn ‘Lead-Free’ solder paste residues, oil, surface mount adhesive and fingerprints. Upon finishing, the solder joints appear bright and mirror-like.